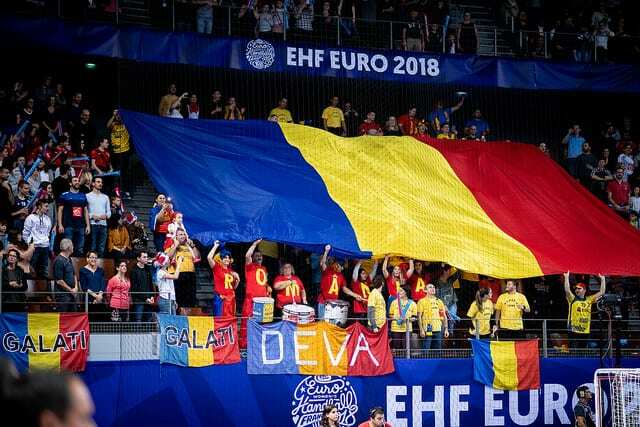 Romania started off the EHF Euro in France with a win against Czech Republic. The 31-28 on the scoreboard looked nothing like last year’s lose against the same rival in Leipzig, in the last 16 round of the World Championship in Germany. 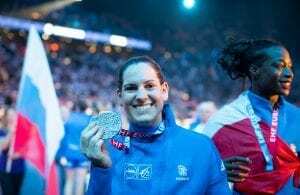 While all protagonists coincide that this is a different championship and that things have changed now a year later, it was impossible not to think of that match towards the last few minutes of today’s encounter in Brest. The victory comes on the 100th anniversary of Romania’s National Day. The conducted by Ambros Martin looked confident and quickly took the advantage, leading 6-1 after the first six minutes of the match. The defense was solid and the attack could take advantage of the five 2 minute suspensions suffered by their rivals, three of them awarded to Kamila Kordovska (the last one was a bad inclusion as she stepped back on the court before the 2 minutes were over). By the end of the first 30 minutes, Romania had extended the difference to 6 (17-11). The Czechs came back from the locker room with a different face and showed a very tenacious fighting spirit that brought everyone to the edge of their seats. Jan Basny’s girls were fighting back and slowly approaching the Romanians in the scoreboard with goals from team captain Iveta Luzumova and Issy Paris’ left wing Veronika Malá. With 5 minutes remaining, Marketa Jerabkova scored for 28-26. In the end, that two goal difference was the closest the Czechs could get as Romania kept it cool and closed the match securing the first two points of the group round, in Romania’s national day. Eliza Buceschi was named best player of the match and was also top scorer with 9 goals. “Overall I’m satisfied because I think that for 90% of the match we played better than the Czech Republic, but we had some problems in the end, our defense was not the same and also the attack, but overall I’m satisfied and I’m really very happy with the victory”, stated Cristina Neagu after the match. The Romanian team captain scored 8 goals today and is 4 goals behind the all-time top scorer of the EHF Euro, Hungarian Ágnes Farkas (205).